The City of Athens will spend 1.5 million euros on decorating the city center and organizing events for Christmas, Athens Mayor Theodoros Behrakis said yesterday. 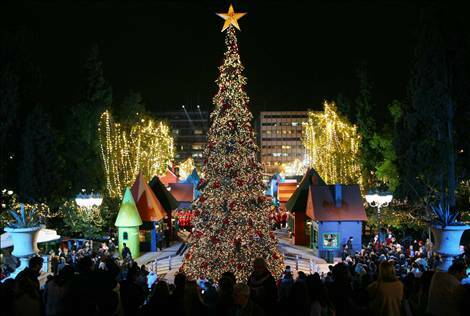 The outgoing mayor said that the lights on the Christmas tree in Syntagma Square will be switched on in nine days. A 120-year-old carousel will also be set up in the square for children to ride. A smaller carousel will operate in Kotzia Square from December 16. A giant snowman in front of Zappeion Hall will house the “workshop of fun,” Behrakis said. The municipality has also organized three New Year’s Eve concerts at Syntagma, Kotzia and Klafthmonos squares.